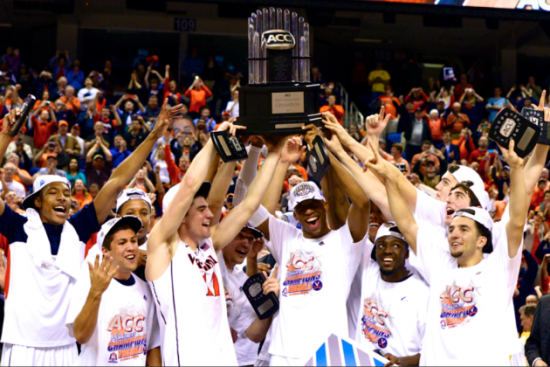 Last season the Virginia Cavaliers won the ACC tournament. This season the Cavaliers won the regular season title and come in as one of the favorites to win the ACC tournament, which starts Tuesday in Greensboro. Many questions remain unanswered heading into the tournament. Virginia lost its last regular season game to Louisville, while Duke has played exceptionally well since losing two straight earlier in the season. Miami is looking for at least two wins to assure themselves of a spot in the NCAA tournament. Virginia will be the No. 1 seed, but Duke heading into the tournament is the team to beat. 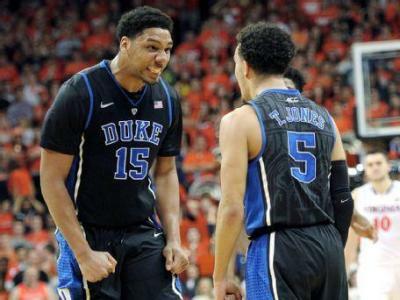 With Tyus Jones running the show and Jahlil Okafor the sensational freshman center, the Blue Devils look tough to beat. Duke can be a No. 1 seed in the NCAA tournament with a victory in the ACC tournament. The only concern with the Blue Devils is they are just 8 deep. Virginia has the best defense in the nation with the exception of Kentucky with clutch offense that has kept them in the top 5 all season. The Cardinals must be given credit as they lost starting point guard Chris Jones but have not let up. Montrezl Harrell is able to take control of games, while Terry Rozier is great with the game on the line. The Irish have not received that much attention since losing to Duke last month, but with Jerian Grant, a great player no one talks about and Pat Connaughton the Irish can win the big games. 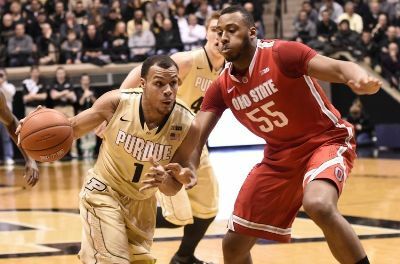 Bonzie Colson has come on of late down low and at the wing making them even more dangerous on the offensive end. Miami needs at least two wins to have a good shot at making the NCAA tournament field. NC State should make it as long as they are not routed in a game in this tournament. Both Duke and UVA are playing for possible No. 1 regional seeds, though both could get one. The Syracuse Orange are gone due to a self imposed ban for the postseason even prior to the harsh penalties set down last week by the NCAA. The 2-3 suffocating zone will not be missed, but the talented Jim Boeheim on the Orange bench will be. Look for Duke, Virginia, Notre Dame and Louisville to reach the semifinals with Duke and Virginia playing in the finals. No NBA? No NHL? No Problem! There’s a really good chance that if you reading this that you are probably a sports fan. There’s also a good chance that you like to wager an occasional buck or two on sports. Lastly, there’s a really good chance you know that there are no NBA or NHL games to wager on this evening. The National Basketball Association is on their All-Star Break down in New Orleans while the National Hockey League has suspended play so that many of its stars can participate in the Winter Olympic Games in Sochi. You’re probably asking the question, “Why not go with some college basketball games?” That’s a really fair question except for the fact that the only game worth wagering is Arizona at Arizona State. If you’re dying to know my thoughts on that one read on. Otherwise, for now you’re stuck with my picks for the winners of All-Star Weekend in the NBA. Portland's Damian Lillard will have a hand in just about everything during All-Star weekend. This one features Coaches Grant Hill and Chris Webber coaching up the best first and second year players in the league. What you need to know is that like the actual All-Star game, little defense is played. Despite Damian Lillard leading Team Hill, I’m going with Team Webber behind Anthony Davis, Trey Burke and Jared Sullinger. Defending Champ Damian Lillard returns as does DeMar DeRozan. Lillard will be teamed with rookie Trey Burke to comprise Team One of the Western Conference and Team Two is comprised of Goran Dragic and Reggie Jackson. DeRozan is joined on Team One of the East by Giannis Antetokounmpo of Milwaukee while Team Two is Michael Carter-Williams and Victor Oladipo. 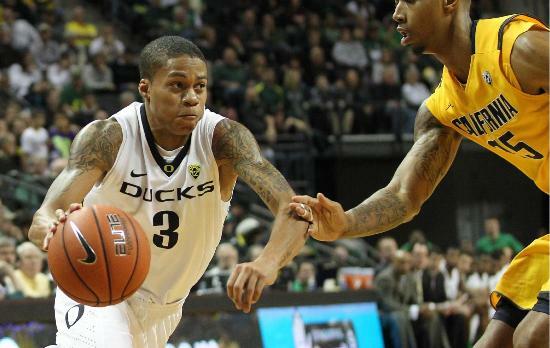 Lillard is the overwhelming favorite but I’m taking the rookie Trey Burke in this competition. Kyrie Irving returns to defend his title from last season and has three other Eastern Conference competitors with him. Bradley Beal, Arron Afflalo and Joe Johnson throw their hats into the ring represent their conference. In the West, 2012 champion Kevin Love looks to get back in the winner’s circle. He is joined by fellow Western Conference entrants Marco Belinelli, Stephen Curry and Damian Lillard. Look for an Irving-Curry final with Curry pulling out the victory. Your Eastern Conference dunkers are Paul George, Terrence Ross and John Wall while the three players from the Western Conference are Harrison Barnes, Damian Lillard and Ben McLemore. I kind of feel guilty that I don’t have Lillard winning anything to this point because he’s the only player in every event and deserves huge props for that. I believe you are going to see some very athletic dunks from this crew but don’t expect LeBron-esque style off the wall dunks because the arena just doesn’t allow for that. 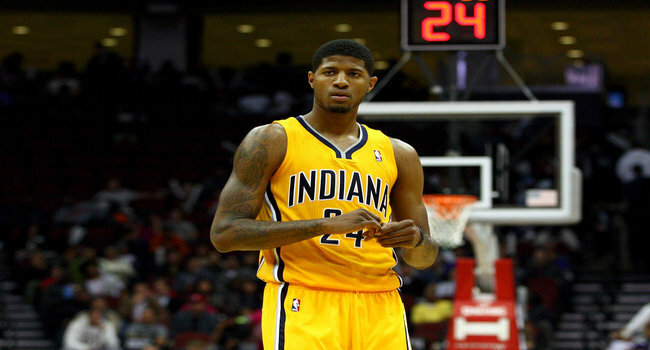 I really like Indiana’s Paul George to win the dunk contest this year. And now for Arizona at Arizona State…. When these two in-state rivals met in mid-January, the Wildcats took the Sun Devils out behind the woodshed. Arizona beat ASU 91-68 and left little doubt as to who the better college basketball team was in the state of Arizona. Since that loss, the Sun Devils have gone on to win five of six with their one loss being a six-point loss at Stanford. Arizona State scores the basketball very well, but the Wildcats play pretty good defense too. This will not be the blowout the first meeting was but I do expect a very close Wildcats’ victory.